The Correct way of eating Fruit…. 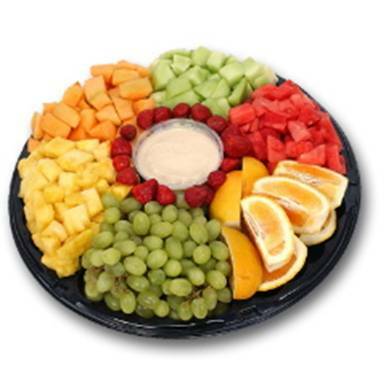 So you should eat fruits on an empty stomach or before meals! You have heard people complaining — every time I eat watermelon I burp, when I eat durian my stomach bloats up, when I eat a banana I feel like running to the toilet, etc — actually all this will not arise if you eat the fruit on an empty stomach. The fruit mixes with the putrefying other food and produces gas and hence you will bloat! 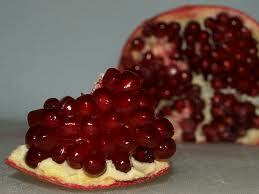 Raw Pomegranate is believed to be rich source of vitamins C, E and Zinc.This was proved by American Research Institute . The study says that compounds in this fruit increases the antioxidant activity and also the effect of vitamins. Pomegranates contain polyphenols with powerful antioxidant properties. According to a study published in the journal “Clinical Nutrition” in 2003, these compounds may reduce plaque buildup caused by excess LDL cholesterol. A group of researchers from Israel observed study participants who drank pomegranate juice every day for a year and found that their incidence of artery plaque was 30 percent lower. Conversely, those who did not drink pomegranate juice had 9 percent more artery plaque at the end of the study. Can u believe this?? For those who like to drink cold water, this article is applicable to you. It is nice to have a cup of cold drink after a meal. However, the cold water will solidify the oily stuff that you have just consumed. It will slow down the digestion. Once this ‘sludge’ reacts with the acid, it will break down and be absorbed by the intestine faster than the solid food. It will line the intestine. Very soon, this will turn into fats and lead to cancer.